December 9 , by Stacie Hooder. If you’re in the San Francisco Bay area (or if you will be next March), Marcia DeCoster tells you how to win 3 free beading kits at her blog MadDesigns. 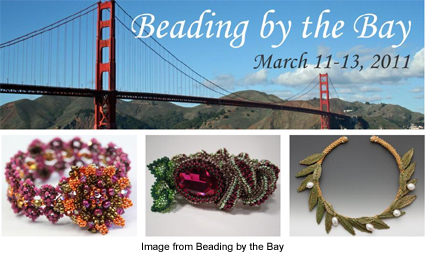 She also gives you more information about the second Beading by the Bay Retreat, which is three days of beading fun with 3 of the most talented women in beading – Marcia DeCoster, Jean Campbell, and Maggie Meister. The Retreat will be March 11-13, 2011, so register now and make plans to go.